SKUFA EPS Container (Styropor®) are a very light-weight and cost-efficient possibility for transporting your product, e.g. food samples, hot or cold food or sensitive goods such as glass, electronics or rotating parts securely. 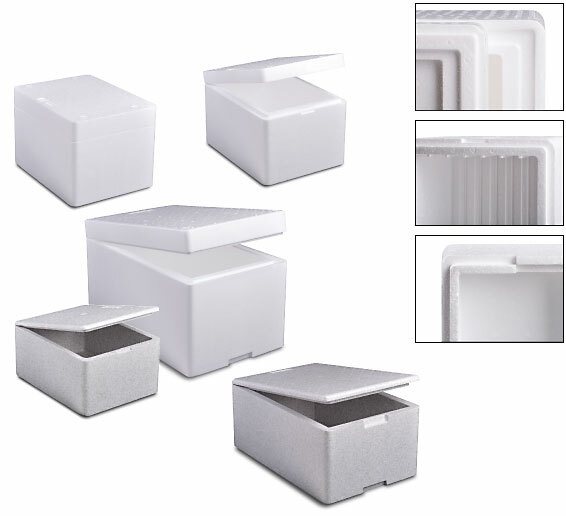 With more than 20 different standard boxes, you will find a large selection of dimensions, wall thicknesses and volumes. We will gladly consult you on which box is the best for your requirements.